The H145M is a medium-sized military multi-role helicopter capable of performing a wide spectrum of missions with a common platform, from transport, search and rescue (SAR) and medevac to armed scout. Airbus Australia Pacific managing director Andrew Mathewson said, "The Airbus H145M helicopter is the military version of the H145 – the most advanced member of Airbus’ multi-purpose twin-engine category. It is based on a commercial off-the-shelf (COTS) platform with military-specific modifications and is an operationally proven, affordable and low-risk option for Australia." High rotor clearance and shrouded Fenestron for operations close to obstacles. "The Airbus Australia Pacific response included selected industry partners and the provision of training, maintenance, logistics and engineering activities. A comprehensive transfer of technology and skills will make Airbus Australia Pacific a regional centre able to proactively support Australian operational needs, and export this knowledge back into the wider H145M community," Mathewson explained. Defence is planning to acquire a fleet of up to 16 light helicopters to enhance the aviation capability of Australian Special Operations Forces through increased mobility, direct air support and ISR as part of LAND 2097 Phase 4. The Defence request for tender (RFT) established that the helicopter should be a proven design (already in service either in commercial or military capacities), optimised for operating in dense urban environments and capable of rapid deployment by air transport in the Royal Australian Air Force's C-17 Globemaster strategic airlifters. 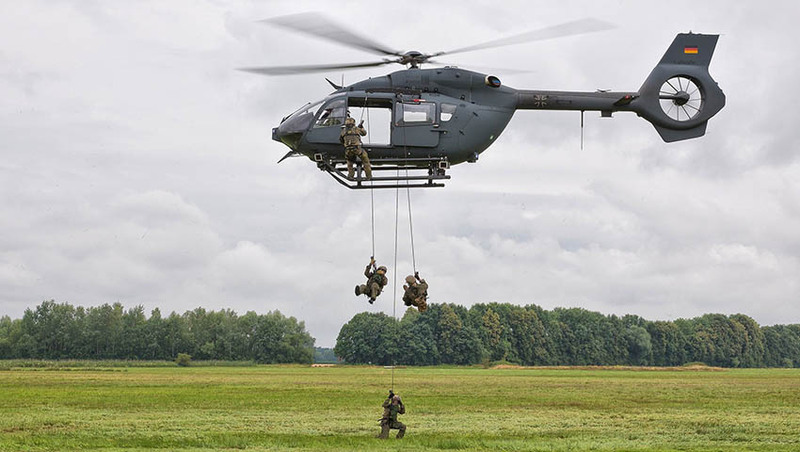 The successful helicopters are intended for use by the Australian Army’s 6th Aviation Regiment, based at Holsworthy, south of Sydney, and will complement a squadron of larger MRH-90 Taipan helicopters, more information regarding the program, including tender applications, is available here.